One of the amazing things at the Sustainability Centre is the appearance of yurts. You can watch they grow each spring like mushrooms - almost overnight. 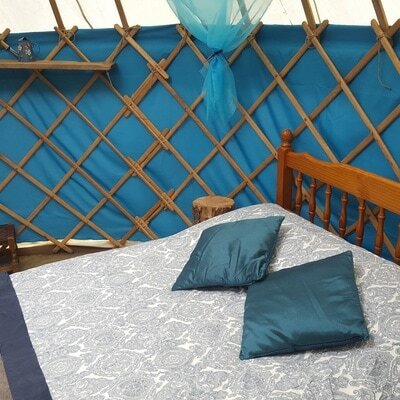 £10 discount per night on Mini Yurt or Olive Yurt. 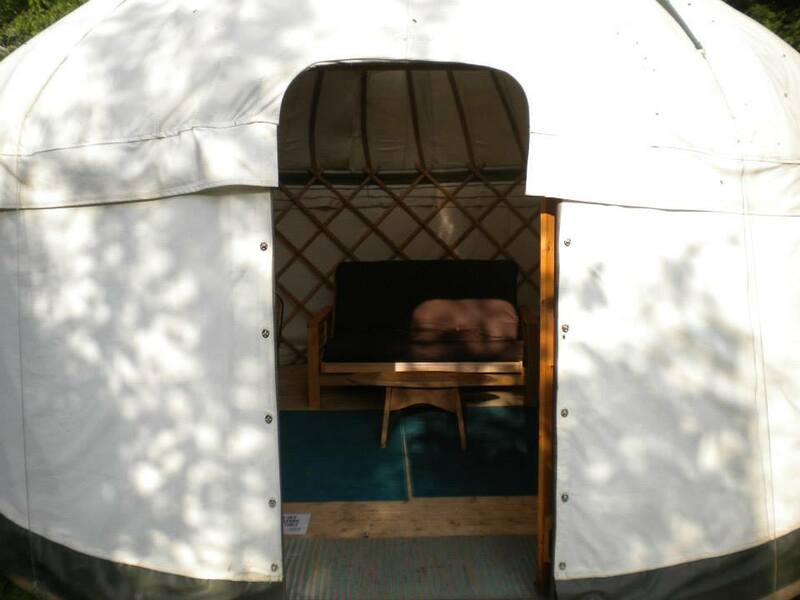 Yurts are available to book from April to October. We advise early booking as they are very popular, especially at weekends. 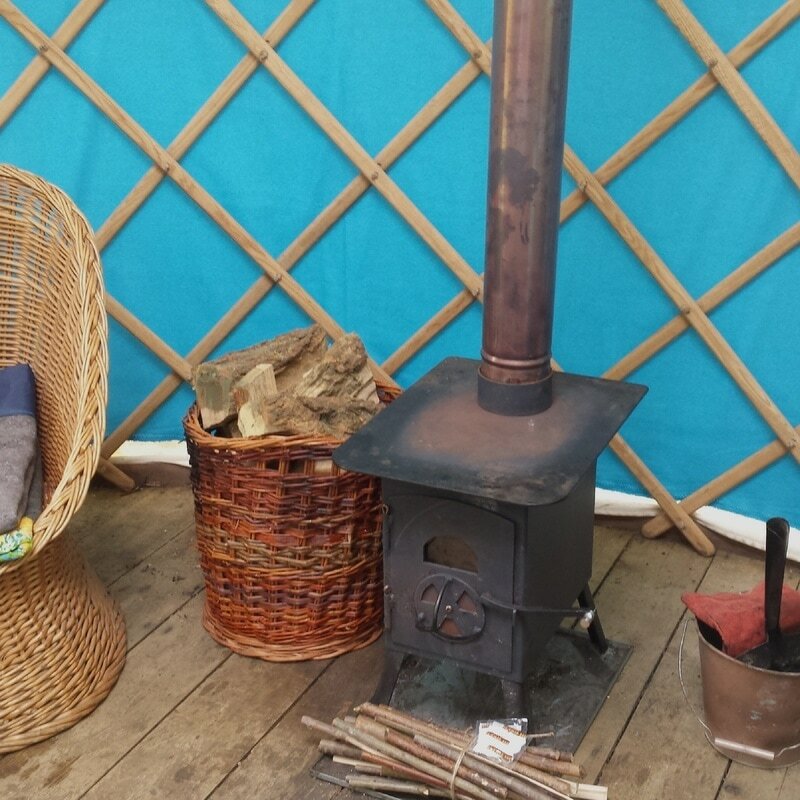 On our small campsite, surrounded by beautiful woodlands, we have 3 Yurts for hire. 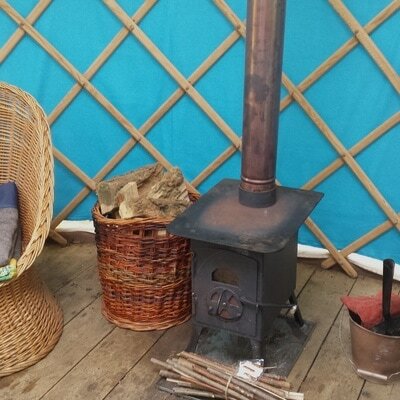 Rose yurt is next to our mini-orchard, whilst Olive Yurt and our Mini Yurt are tucked away in bays. See our Campsite Map below for details. Our two Large Yurts, Olive and Rose, have a wood-burning fire, rugs and furniture, including a double bed (with bedding), a double futon, seating and a dining table and chairs. They can comfortably accommodate four people, and a maximum of six if you bring 2 of your own camping beds. We also have a Mini Yurt which sleeps 2 adults. It has a double bed (with bedding), a wood burner, rugs and chairs. It is tucked away in a delightful bay, providing an ideal escape for individuals or couples. a camping light or torch as there are no electric lights. 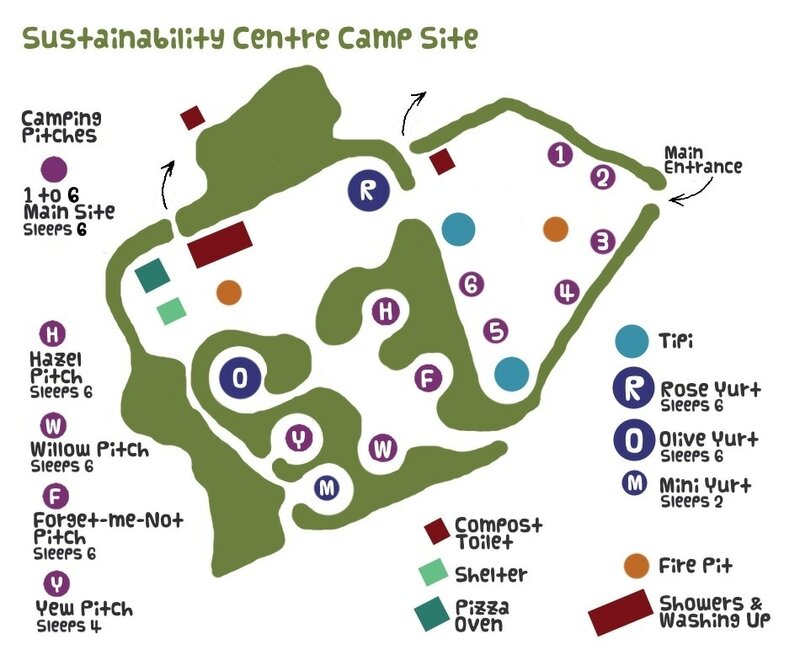 Our campsite facilities include a solar shower block and a washing up area made using straw bale and wooden building techniques, a compost loo and running water. We sell wood from sustainable British woodlands. Please see our Camping Page for further details on Campsite Facilities. Please note that vehicles are allowed to a drop off point only to unload camping equipment during staff hours. All cars must be returned to the main car park after unloading and there is a gate to the campsite which is locked overnight. For events, celebrations or groups the whole campground, including Tipi and Yurts, may be hired for an Exclusive Use price. Click here for more information on Group bookings. Check In - After 1pm on day of arrival. Check Out -Before 11am on day of departure. All bookings must be accompanied by a responsible adult aged 18years+.